This much-loved classic Christmas tale is now adapted for younger children and sumptuously illustrated by Helene Muller. 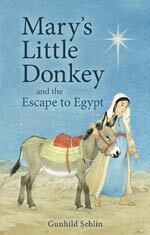 A long time ago in the Holy Land lived a scruffy little lazy donkey. When he met gentle, kind Mary, his world changed forever. 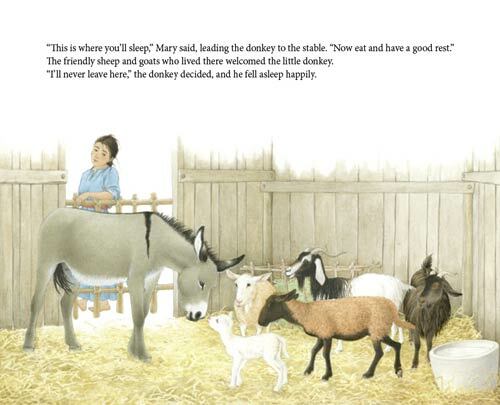 When Mary and Joseph have to make the long journey to Bethlehem, the now faithful little donkey gets them there safely. Ending with the wonder of the birth of Jesus, this beautiful picture book edition of Gunhild Sehlin’s classic chapter book contains lavish paintings with details of the Holy Land. 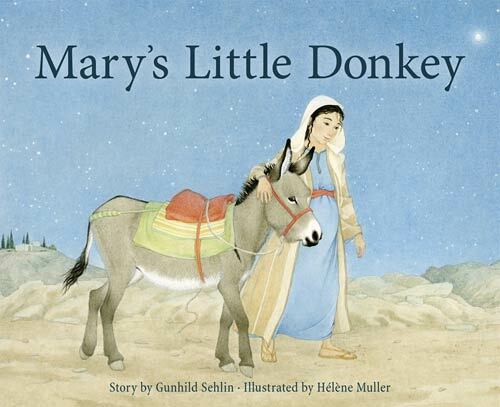 A completely unique version of the traditional nativity story, told from the point of view of the little donkey who rises to meet Mary’s loving belief in him. A moving tale to delight children and adults alike. Highly recommended!! 144 pages, 9″ x 11 1/4″, 2016.